Put a bird on it! Make any project a little more fun and whimsical with this collection of cute birds. The GO! Birds die features sharp yet ultra-safe blades that precisely cut three different birds and two wing styles. 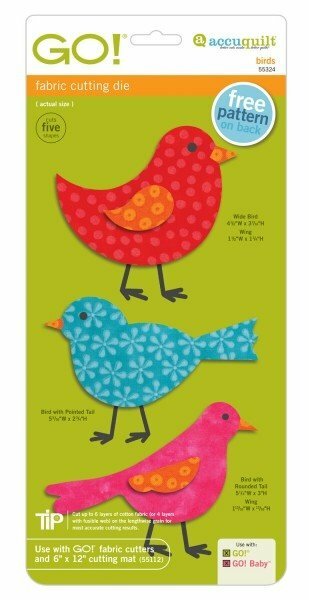 Birds are a favorite applique motif for quilters. You'll love adding them to clothing, gift tags, home decor and more. Want to make a quick applique? Simply apply fusible web to the wrong side of fabrics prior to cutting for quick and you're set!